An unexpected letter from an old friend, His Royal Highness Prince Kraus of Oldessa, to the Duke of Norlington contains a surprise that could change the lives of the young Duke and his ravishing sister, Lady Latasha, forever. Happily living on the Norlington family estate, quietly content amongst the lovely gardens and beauty of the English countryside, both siblings are astonished to learn that the Prince is seeking the Duke’s consent for his brother, Prince Stefan, to ask for Latasha’s hand in marriage. 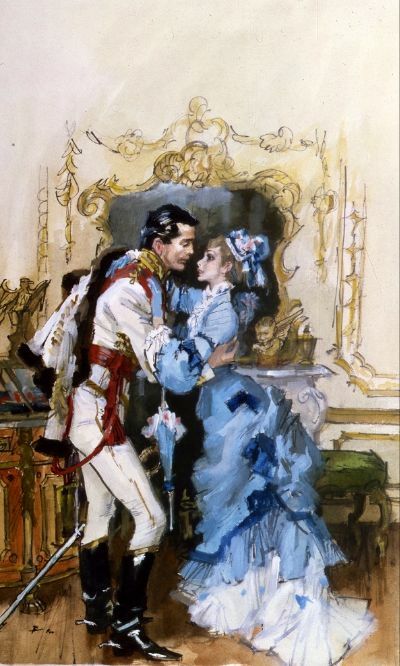 Appalled at the thought of marrying a man she has never met, Latasha quickly realises that this is a political alliance that would benefit Prince Kraus, regardless of her feelings. Beautiful and intelligent, Latasha understands her main charm for him is her blood link to the Royal family, and the British protection such a marriage would afford his small principality from a Russian takeover. Whilst appreciating the severity of the situation in the Balkans, Latasha quickly makes it clear that she intends only to marry for love. Defiant and headstrong, she is horrified when she realises that Queen Victoria is happy to give the match her blessing. But can she really sacrifice her own future happiness to secure the safety of others? Torn between patriotic duty and her wish for romance, Latasha reluctantly agrees to visit Oldessa in disguise to find out what Prince Stephan can offer in return for her freedom. Accompanied only by her elderly Nanny, and with the dark forces of the Russian army threatening all those living in The Kingdom of Flowers’, Latasha’s dreams are tested to the limits as she battles to save a principality and find true love.